I don’t want to live in this world anymore. Ok, so maybe it’s a hoax. 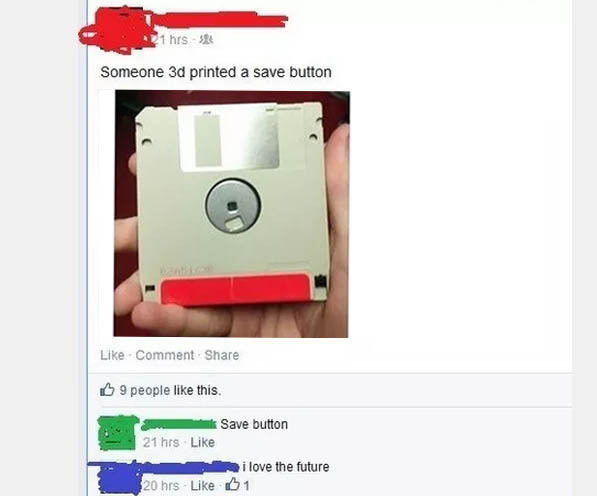 Maybe it’s real, and some kid just has no idea that the “save button” used to be an actual thing. Whatever the explanation is, one thing is certain: I’m old. If you saw the above and realized this scenario is, sadly, totally possible, then you too are old, my friend. The “not wanting to live in this world” comment? That’s just age-related depression; it happens at 30, and that’s a fact.